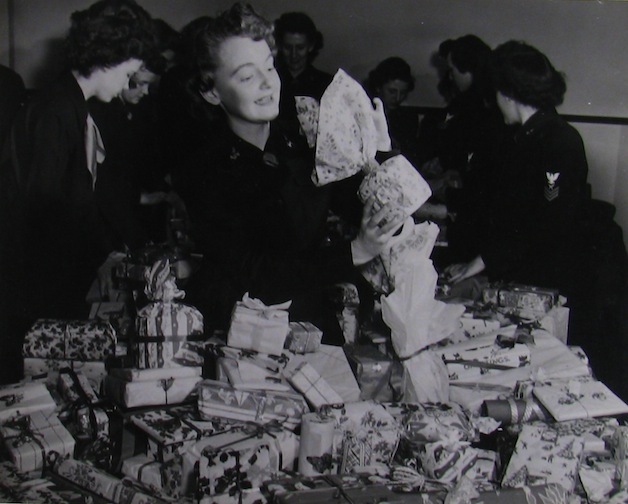 Yeoman Anne C. Fee takes a peek at the gift she’s wrapping as part of the “Wives and WAVES” Committee in December 1944. The group wrapped a thousand presents for Navy and Marine casualties at the Naval Medical Center in Bethesda, Maryland. Merry Christmas and and enjoyable holiday season!